a sharp triangular projection from a bone. A sharp triangular projection from a bone; coronoid process of the mandible, the triangular anterior process of the mandibular ramus, giving attachment to the temporal muscle; coronoid process of the ulna, a bracketlike projection from the anterior portion of the proximal extremity of the ulna; its anterior surface gives attachment to the brachialis, its proximal surface enters into the formation of the trochlear notch. A sharp triangular projection from a bone; coronoid process of the mandible, the triangular anterior process of the mandibular ramus, giving attachment to the temporal muscle. 1. a part of the mandible that projects into the temporal fossa and provides attachment for the temporal muscle. 2. the medial and lateral prominences located on either side of the trochlear notch of the ulna, forming part of the articular surface with the radius and humerus. a developmental lesion of young, large breed dogs. Causes a weight-bearing lameness. May occur in association with osteochondritis dissecans of the medial humeral condyle. Called also ununited coronoid process, elbow dysplasia. see fragmented coronoid process (above). 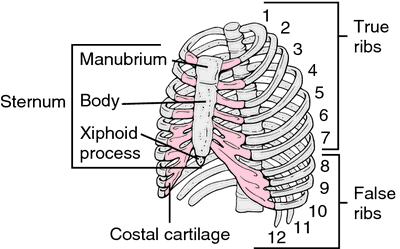 Some clinical situations involve the coronoid process or the temporal muscle insertion. Lower jaw with outer row of spaced, curved, enlarged canines, ending at bend of dentary where these teeth are largest, several irregular rows of small conical teeth at symphysis grading to single outer row ending at anterodorsal tip of coronoid process of dentary, innermost row somewhat enlarged (half the size of outer teeth), spaced, and continuing posteriorly to beginning of coronoid process. The coronoid process is hence the most critical bony stabilizer of the elbow joint . 3A) and many teleosts examined connects the maxilla to the dorsal surface of the coronoid process, we are tentatively coding such a configuration as CS-0 for the fishes included in this cladistic analysis. 3) The fracture of the coronoid associated with this injury is usually small and frequently involves the tip of the coronoid process. Alternative radiographic projections of the ulnar coronoid process. After the osteotomy of the zygomatic arc, as well as, the one of coronoid process, the temporal muscle was removed, exposing the TMJ and the lateral pterygoid muscle. In the mandible, they have been reportedly found in the symphysis, body, angle, coronoid process, and the condylar neck. 39) It courses anteriorly from the anteroinferior surface of the epicondyle and attaches to the medial edge of the coronoid process. Anteriorly, the coronoid process of the proximal ulna articulates with the coronoid fossa of the distal humerus. This error is easily identifiable by comparing several areas of anatomy that is typically equal in size, such as the width of the rami, the distance between the inner edge of the condyle and the coronoid process, the sharpness of the maxillary sinuses, and the size, shape and position of the condyles. A combination of Le Fort I and Le Fort II lines were not seen in any of the patients Mandiblar factures were detected in 15 patients with total 25 number of fractures Most common fractured sites of mandible were body followed by ramus, alveolar ridge, angle and coronoid process.